Item's description, rarity, and legend status appear differently on some servers. Description: Need a droid? travel to the Sand Sea for the annual Mawa swap meet. Just don't get hustled. 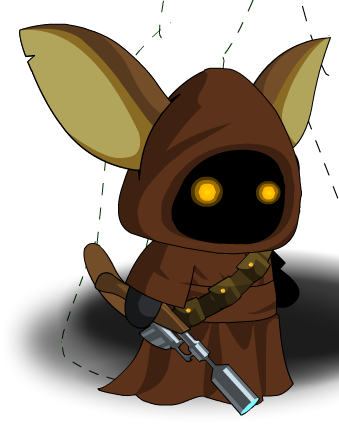 This is a parody of Jawa from the Star Wars franchise. Also see List of all Moglin Pets.